Which Contract Type is Right for Your On-Campus Dining Services? Whether you are currently partnering with a dining services provider or considering a partnership with one, there are several types of contracts to consider. The contract your institution chooses can have a significant impact on the success of your partnership. Here is a breakdown of the two most common contract types in the industry. Although these two contract types are the most common, many institutions use a hybrid solution, such as fixed pricing for the primary meal plan element and variable pricing for more customized elements like catering, concessions, athletic dining and facilities services. Interested to see which contract best suits your institution’s dining needs? Find out in this quick quiz! 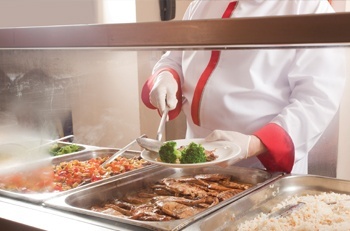 Aramark has the expertise and experience to help your institution develop customized meal plan programs and pricing to improve the financial performance of your dining program. Now that you know which type of contract will most benefit your school, your staff and your students, contact Aramark to determine your next step toward value-added dining services. Click here to get started.